The best and the worst thing about Xbox Elite controller is the same — paddles. Xbox Elite paddles should have been extremely useful, because they allow performing four more in-game actions. However, they don't. Even native Xbox Accessories app doesn't help — you can duplicate face buttons (XYAB) to Xbox Elite paddles with it, but you won't get these additional actions we all need. And here comes reWASD — first and only app to map controller to keyboard, mouse or other controller button, reassign Xbox Elite paddles and adjust sticks & triggers. 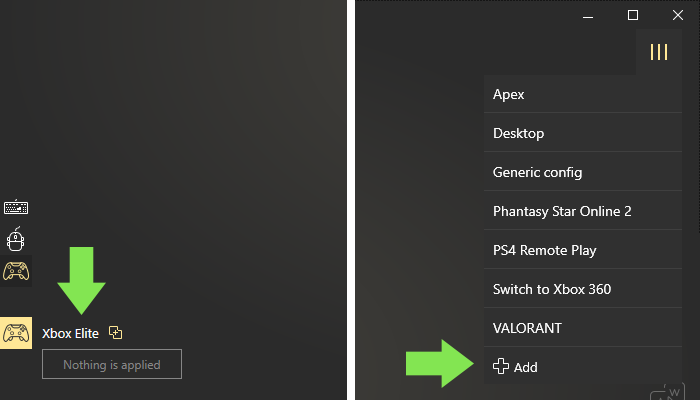 This post will help you understand, why to use it instead of Xbox Accessories app, how to remap Xbox Elite controller in reWASD and which features appeared in the latest release. Download reWASD first: it’s free to try. Connect your Xbox Elite Controller to PC. You will see it in reWASD too. Xbox One Elite controller button mapping expands to paddles with reWASD: you can revive your Xbox Elite paddles and bind any keyboard or mouse key to them. Elite paddles are extremely useful when you play first-person shooter games to keep your fingers on sticks and concentrate on the gameplay. 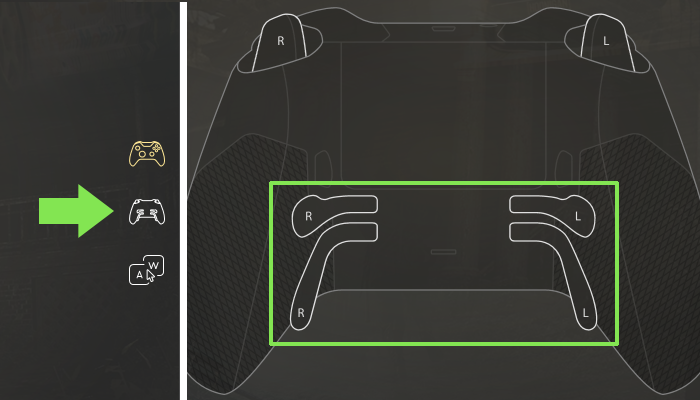 Let’s start to map Elite paddles to keyboard: choose the Xbox paddle you want to remap. Then tap on “reWASD mapping” if you want to map Elite paddle to keyboard: this combobox is a list of keyboard keys and mouse clicks to assign to the previously chosen Xbox paddle. 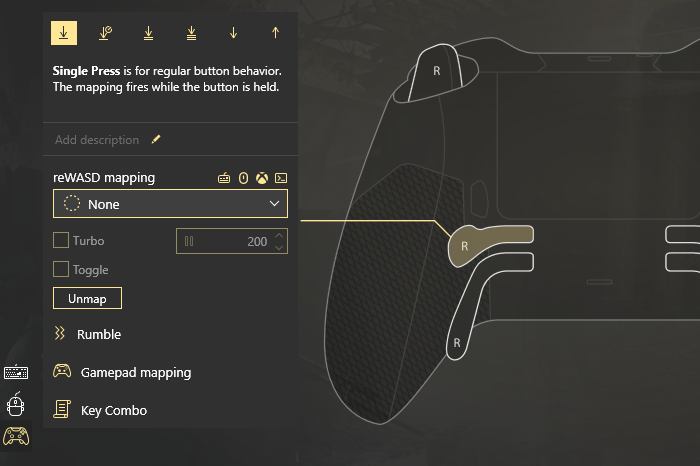 If you want to map controller buttons to Elite paddles, go to "Gamepad mapping" and choose the appropriate controller button for the chosen Xbox paddle. Go Back, remap other controller buttons if you need to, tap on “Apply”. And your config is ready to use! A few words about the available instrumentality: you can assign face buttons (XYAB), both bumpers, both triggers presses, sticks clicks or D-pad on each other. The last hardware remapping option — 'Unmapped'. It means that reWASD switches the button off. To learn more about unmaps visit our blog post about unmapping buttons with reWASD. Our team continues working on reWASD to make it even more powerful and useful for you! This process is impossible without user feedback, so tell us what you do or don't like about the gamepad remapping software we propose. You can contact us via Facebook reWASD page (in messages or comments) or comment here. To keep your hand on the pulse concerning updates, gaming news and new configs you can subscribe to reWASD Pinterest board or Facebook page.